How to create a recruitment brand? How to expand the talent pool, to attract and recruit qualified candidates to ensure the input quality? How do enterprises have a tool to support planning and implementing strategic resource mobilization activities in order to sustainably develop long-term resources? How can new employees integrate with enterprises from the very first day with a professional, simple receipt procedure? According to statistics, the recruitment brand of the enterprise affects 50% when the candidate makes the decision to choose to join an organization. Therefore, a professional, modern career site will help enterprises show their values, make them outstanding in the human resources market. SureHCS Career site is the perfect solution for enterprise. 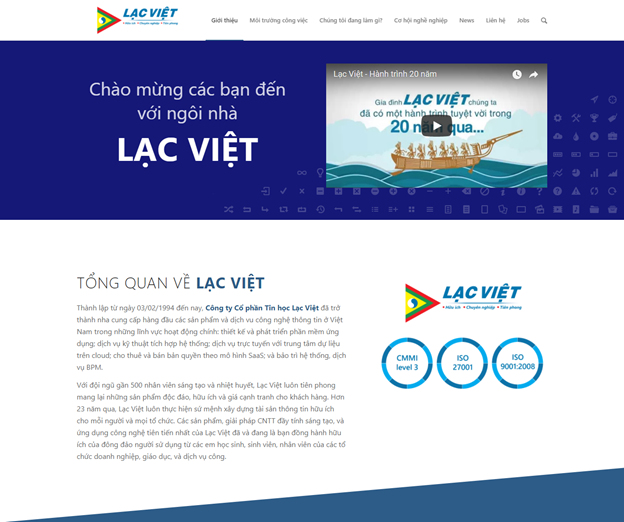 With the support of free implementation of the career site, Lac Viet will be in charge of promoting branding, attracting candidates, contributing to cost reduction and optimizing the effectiveness of recruiting activities in enterprises. Easily search, find job information, create online profiles with friendly and simple interface. Communicate well with employers in the recruitment process between candidates and employers. Confirm your interview schedule or job offer online. Support posting unlimited job titles from recruiters and 100% free. Create online bridges between the recruitment process between the candidate-employer. Automatically transfer candidate records to the Enterprise Recruitment Management System. 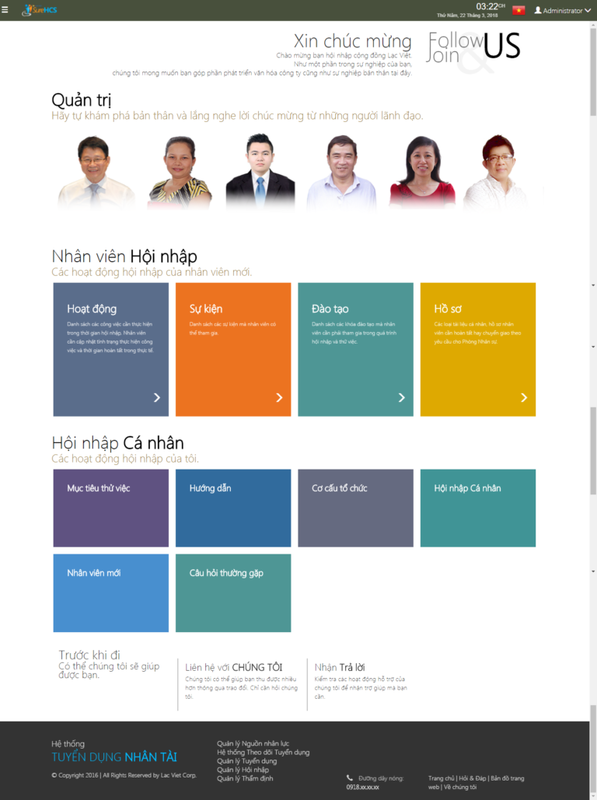 Applicant Tracking system- SureHCS (Applicant Tracking System – ATS) is one of the most effective solution that was used by almost world wide company and Viet Nam. Allow the enterprise to set up the recruitment process, recruitment criteria, recruitment statistics ... on each title. Intelligent system will automatically filter the list of candidates or internal employees according to the recruitment criteria. The system also supports searching for talents matching with the recruiting requirements from the fastest repository when there are recruiting requirements. Create a bridge between the Human Resources Department - Online Management level, speed up the time to attract, and recruit talents. Evaluate and monitor the recruitment process from the time the request is made to the internal collaboration environment, between the enterprise and the social network. How do new employees capture the job and integrate with the working environment in a fastest way? Send internal process guides, corporate culture… to help new employees integrate immediately. Create initiative from new employees in integration and a tripartite forum between New Employees - Colleagues - Human Resources Department. Promote the cohesion of new employees with the organization - the key factor in successful recruiting.